If you want to come to Canada as an immigrant investor and you do not succeed because some programs have been closed then the Canada work permit may become an option to immigrate to Canada. As a business leader and specialist in your country there are many Canadian companies that will probably be interested in having you on board to fill in a job as a consultant, an expert in international relations or a manager of a trade or international projects department. Of course, finding a job, getting a Canada work permit and occupying a job for several months have some downsides, including, among others, the obligation to be present at work, meet the demands of the employer and not to enjoy the same autonomy, but it also has great benefits. The Canada work permit will allow you to more easily integrate the social and economic environment, improve your language skills and teach you about the tastes of people who one day will be your future customers. 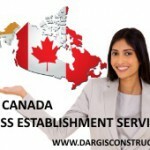 If you are business people with experience in the field of construction, real-estate, technology and you have been a business owner for many years Construction Daniel Dargis Inc. can help you find a job and apply for a Canada work permit for a job with the help of a certified immigration expert. After working for 1 to 2 years in Quebec, you will then have the opportunity to apply for permanent residency. During and after the Canada work permit stage for work and employment in Quebec you will need a team that can guide you and advise you from A to Z to establish your company and your business in Canada. To make a good decision, we will help you gather information of all kinds in terms of: taxes, the market and demand in the construction sector in Canada, the laws, permits, regulations and building and labor codes, on how to build your business and move forward in Canada. We help you by offering you lawyers, specialized in Canadian business law, construction law, real-estate law, who know Canada well. Construction Daniel Dargis Inc. with the help of a certified immigration consultant works as a team for your Canada work permit and advises you in the business of construction and real-estate in Canada.